Recently my mum has been converting lots of old slides from her childhood in sixties South Africa. I find them all so beautiful and interesting but I think this one trumps them all..It was taken by my grandparents in their car. Isn't it crazy how calm the lady is in the car? 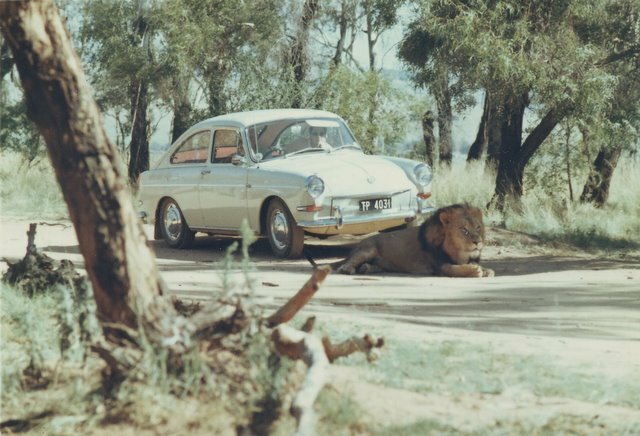 Growing up in the UK it blows my mind to think that you can live somewhere where lions just sit down in front of your car!